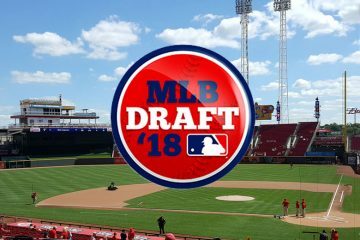 When the season began for Matthew Liberatore he was among the top 10 prospects in the country for the 2018 Major League Baseball draft. Nothing has changed from that standpoint, though his movement within the top 10 has fluctuated. As a sophomore, Matthew Liberatore broke into a significant role with Mountain Ridge High School. He threw 33.1 innings with a 2.08 ERA to go along with 19 walks and 37 strikeouts. It was his junior season, though, that really vaulted him onto the national stage. In 62.1 innings he allowed just 35 hits and walked 23 batters with a 0.79 ERA and 96 strikeouts. This season has been more of the same for the senior lefty. In 60.1 innings pitched he has posted a 0.93 ERA, allowed 28 hits and walked 25 batters. He’s upped his strikeout total, too, with 104 for the season. All stats provided by MaxPreps.com. Matthew Liberatore took a big step forward in velocity between his junior and senior season. With a solid fastball for a left hander already in his pocket, he came out in his first start of the year and showed off low 90’s velocity and topped out at 96. Not only that, but he also showed off a good breaking ball and a potentially above-average change up. With three potentially above-average pitches from a lefty, he looked more and more like a potential top pick in the draft instead of just a guy who could go in the top 10. But, that was the only time during the spring that he showed that upper echelon velocity and has worked more in the 88-92 range for most of the spring. With his size and mechanics, there’s plenty of reason to believe his velocity could improve over the years. He’s a big lefty hander who has shown high velocity at times and could have three above-average to plus pitches. Guys like that don’t come around too often. What’s to be concerned about with Matthew Liberatore? That his velocity dropped off after his first start is only a slight concern, but if you had to pick nits on something, that would be one of the things. While most scouts tend to believe he’s got strong mechanics, there are a few reports out there that think there’s some work to do there. Then, as always, there’s the fact that he’s a high school pitcher. 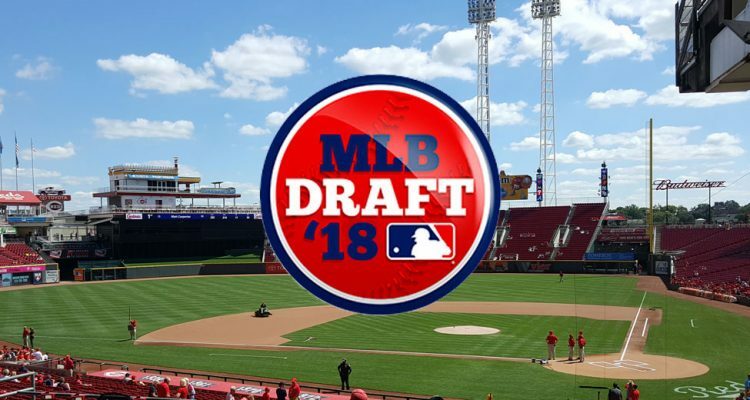 While injury concerns are there for any pitcher, with high school ones they are further away from the Major Leagues at this point in the draft, meaning there’s a higher chance that something would pop up before reaching the big league club. Does Matthew Liberatore fit for the Reds? Yes, Matthew Liberatore is a good fit for the Reds. Generally speaking, take the best player available. When that player is a pitcher there’s never a concern about that player not fitting. In very rare circumstances does it make sense to not select someone because of what’s at the big league level. In Cincinnati, maybe it doesn’t make sense to draft a college third baseman who doesn’t profile well at another position because Eugenio Suarez is locked up for the next seven seasons. Of course, you could always argue to draft that guy anyways and trade them down the road if they become what you believe they will. That’s never the case with pitching because there are five spots in every rotation, and even the healthy teams wind up using eight starters a season. I think I’d take the risk and make him my guy even after taking Greene last year. Not a big fan of the college guys outside of Mize for pick 5. Take a chance on a the big lefty! If him and Greene can both pan out they’ll have something special in a few years! I certainly wouldn’t complain if the Reds took Liberatore, but I don’t know if we want to go HS pitching in back to back years. While that is where the biggest upside is, it’s also the biggest risk. I like the idea of taking the best bat possible at 5 (not being overly enamored with any of the top arms outside of Mize, who won’t make it to 5) then going with a high upside prep at 47. Either that or take a guy like Cole Winn early on a below slot deal for around $4 million and then have $3.5 million to take someone who falls because of bonus demands, much the way we signed Taylor Trammell. I would only do that if they aren’t convinced on any of the college bats, which outside of Madrigal (who I would just take at 5), I’m not. There is a lot of depth 20-80 in this draft, but the more I see it and read about it, the top 20 feels particularly below the average of what you usually see. My concern w that is Reds don’t have the competitive balance pick this year. That’s where they got Trammell- not the 2nd round. You hopefully don’t get a lot of chances to draft at top so take high risk player or for sure thing. I don’t see a for sure thing at 5 so maybe go young and take a chance? I don’t follow draft players enough to pretend like I’m an expert but as now- I just don’t want the catcher or Madrigal. I could be wrong, but we do have one. However, it is between the 2nd and 3rd round. So it is much lower. If they don’t think Madrigal can play shortstop then I don’t draft him. There is too many good 2nd basemen in the Reds minors. So that would probably leave taking a pitcher college or high school. Maybe we get lucky and either Mize or Singer is there. I like this Pitcher wouldnt hate it if took him. The Reds have Fairchild from last year as a CF. A CF that the Reds could look at in maybe round 2, but certainly round 3 would be another of Madrigal’s teammates at OSU. CF Steven Kwan hitting .372/.484/.477 in 49 G, 52 R, 8 2B, 5 3B, 1 HR, 43 BB and 12 K. An unbelievable 43/12 BB/K ratio. And it is no fluke, as a sophomore last year he had 30 BB and 15 K for the whole season. OSU is just loaded. He is the SS who has moved Madrigal to 2nd base. You always wonder if he’s not throwing at his max velocity (smooth 90%) in order to protect the arm. Doesn’t look like anybody can hit him with 88-92 FB, so why put extra strain to go 93-96. Be interested to see if velocity increases in bigger games or with runners on base come tourney time. He seems like a high upside guy to me, but bonus will probably be near slot value. I would love it if Liberatore is there at #5. Solid, solid pitcher that could someday be in the mold of a Kershaw or MadBum. Mize or Liberatore and the Reds will have a gem. Stewart seems to have slipped down to the second group of five, #6 – #10. My top five wish list is Mize, Liberatore, Madrigal, Larnach, Bart. Larnach is climbing swiftly and could quickly be in the top-5 or so. Huge RF bat at OSU and Madrigal’s teammate. Hitting .346/.469/.698/1.167 with 13 2B, 17 HR, 63 RBI, 50 R, 37 BB, 41 K in 49 G. Maybe a combo of Jay Bruce and Paul O’Neill. I hope Oregon State and Florida are in the College World Series finals as both teams are just loaded with ML talent. Obv Mize is off the board. Wouldn’t hate Liberatore. IF Jonathan India or P Liberatore and Winn . Scott reminds me of Yelich more than Kyle Tucker . India Reminds me of Senzel can play all over the IF plus Advanced Approach. Didn’t release him. He chose free agency. Wear your jersey with pride, Kap. I could see it with him paired with Greene in Dayton next year.